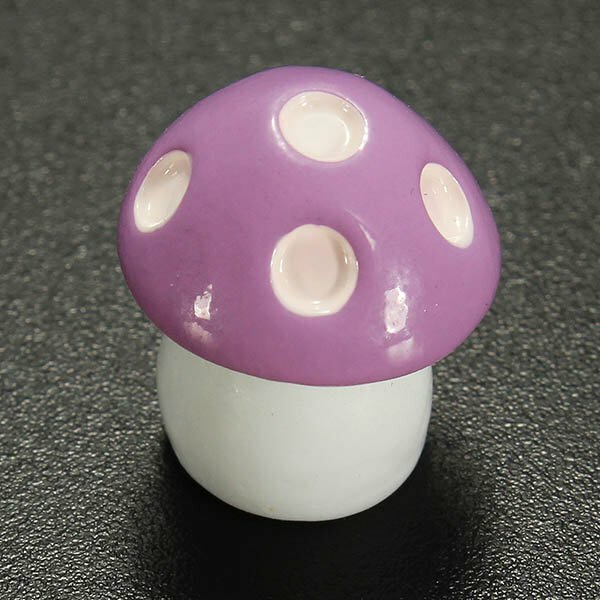 Specification:Material: ResinColor: Red / Purple / Pink / Yellow / Green / Rose Red / BlueSize: 9mmFeature:These realistic little mushrooms are 9mmtall and crafted by hand from resin.They're right at home in planters, fairy garden setups, bonsai and terrariums.Flat base in the stems holds the little mushrooms securely in the soil.Each is unique in its own little way but the mushrooms in the photos are good representations of what you will receive.Package Included:1 X Mini MushroomNotice:1. Due to the difference between different monitors, the picture may not reflect the actual color of the item. Please consider this before the purchase.2. Please allow 1-2cm differs due to manual measurement !